I am glad these hot pink horse pills screamed "don't swallow me" because I am allergic to them. John's prescription bottles were intermingled with mine and I didn't look at the label prior to opening this one. During absent-minded times like this, I appreciate the effort put in to the manufacturing of medicine in order to distinguish these pink oblong tablets from the peach round ones I'm taking. The colors and number imprints serve not only as check and balance for the pharmacy but for the consumer as well. 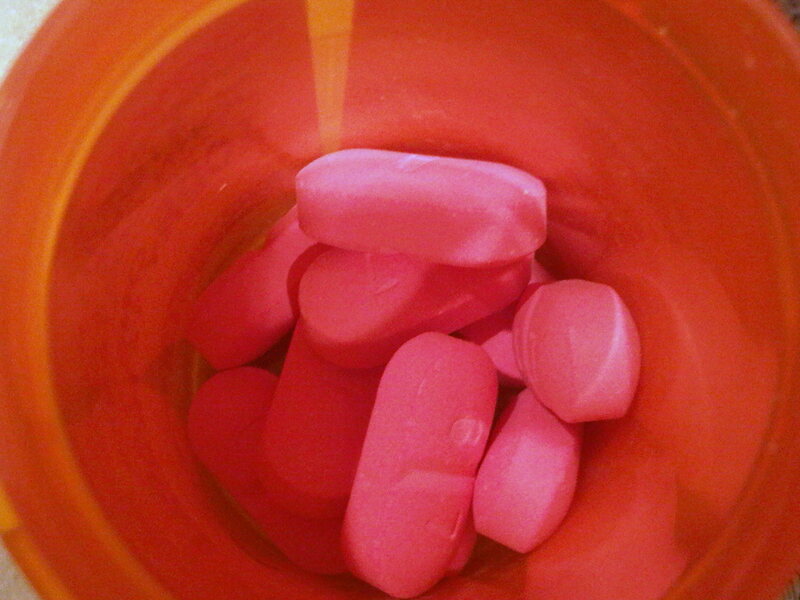 Yuck...I don't like taking prescribed medications let alone daily vitamins.